Catalonia’s separatists were planning their response Sunday after Spain took drastic steps to stop the region from breaking away by dissolving its separatist government and forcing new elections, reports BSS. Catalan leader Carles Puigdemont and his regional executive who sparked Spain’s worst political crisis in decades by holding a banned independence referendum on October 1 will be stripped of their jobs and their ministries taken over under measures announced Saturday by Prime Minister Mariano Rajoy. “What happens now, with everyone in agreement and unity, is that we will announce what we will do and how,” he told Catalunya Radio. Rajoy has taken Spain into uncharted legal waters by moving to wrest back powers from the semi-autonomous region, which could see Madrid take control of the Catalan police force and replace its public media chiefs. 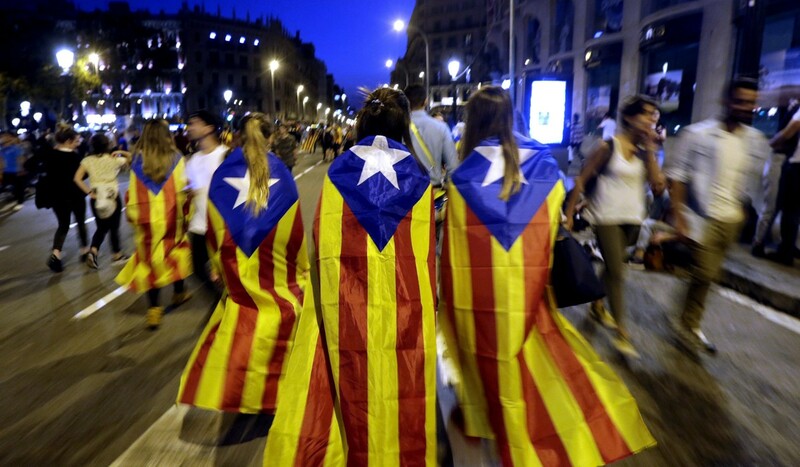 The move sparked outrage among separatists, with nearly half a million taking to the streets of regional capital Barcelona and Puigdemont declaring Rajoy guilty of “the worst attack on institutions and Catalan people” since the dictatorship of Francisco Franco. Among other repressive measures, Franco — who ruled from 1939 until 1975 – – took Catalonia’s powers away and banned official use of the Catalan language. Though Catalans are deeply split on whether to break away from Spain, autonomy remains a sensitive issue in the northeastern region of 7.5 million people, which fiercely defends its language and culture and has previously enjoyed control over its policing, education and healthcare. Rajoy said he had no choice but to force Puigdemont out as he refuses to drop his threat to declare independence after a referendum that had been declared unconstitutional. Spain’s Senate is set to approve the measures by the end of next week. Rajoy’s conservative Popular Party (PP) holds a majority in the upper house, while other major parties also back his efforts to prevent a break-up of the nation.